Believe it or not—I first heard about Janet Wong when I was traveling with a Children’s Literature and Language Arts Delegation in the People’s Republic of China in the autumn of 1994. One of the other delegates, with whom I became friends, was a professor at a college in Southern California. She was all excited when she told me about this “talented new Chinese American author” who had just published her first collection of children’s poems entitled Good Luck Gold. Of course, I had to have the book! 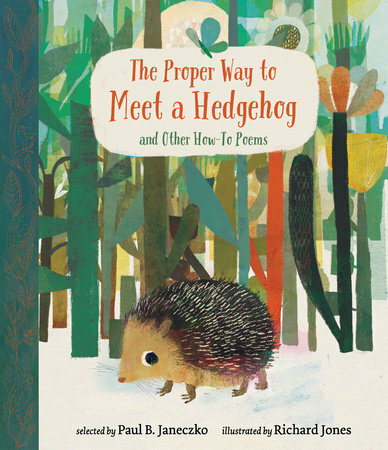 I’m always looking for bright new voices in children’s poetry. I ordered Good Luck Gold soon after I returned home. I had the great pleasure of meeting Janet at a Children’s Literature Institute at Simmons College in Boston several summers ago. Since that time, Janet and I have become friendly. I have gotten to know this woman who is a tiny, determined dynamo and force of nature. She’s a talented writer and a great speaker—straightforward, ebullient, and funny. She has been featured on the Oprah Winfrey Show and, in 2003, was invited to read her picture book Apple Pie Fourth of July as part of the Easter festivities at the White House. I have no doubt in my mind that Janet Wong could accomplish anything she sets her mind to. Janet and I decided to focus my interview with her on her experience as a student in a master class on poetry taught by the late Myra Cohn Livingston, one of America’s foremost children’s poets and anthologists. In addition to Janet, other students in the class included April Halprin Wayland, Tony Johnston, Ann Whitford Paul, Joan Bransfield Graham, Alice Schertle, and Kristine O’Connell George. Elaine: You were a student in the master class in poetry that the late Myra Cohn Livingston taught at UCLA. How did you come to know Myra and when did you become interested in writing poetry for children? Janet: I heard Myra speak at a one-day UCLA Extension seminar, an “everything you need to know about writing a children’s book” class. I didn’t want to write poetry; I was there to hear an editor speak about the acquisition process. When I heard Myra, I knew I could learn something from her. She was so confident and smart, and clearly a demanding teacher. Myra taught a Beginning Poetry class through UCLA Extension and also a Master Class (which was invitation-only). I signed up for her class in Beginning Poetry after receiving a pile of rejection letters. I had decided that it was time to learn to write for children—to learn about rhyme, repetition, and rhythm, poetic devices that would help me write a picture book. 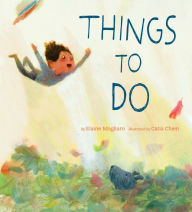 Picture books were my passion, and I simply wanted to use poetry to “sharpen my prose.” I only became interested in writing poetry for publication several months later, once I’d started raiding the 811 shelf at the library (fifty books at a time, at Myra ’s urging) and had fallen in love with poetry. 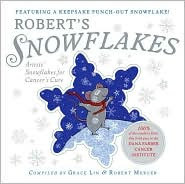 The next term I was invited to take the Master Class—because of luck, the bad luck of Ruth Bornstein (author/illustrator of the simple but brilliant book Little Gorilla), who had to skip the term because of a family emergency. It was truly incredibly good luck for me: many people had waited for years to get into the Master Class, yet I was invited to take Ruth’s spot very soon, probably because I happened to talk to Myra shortly after Ruth called her. Tony Johnston, Alice Schertle, Monica Gunning, April Halprin Wayland, Ann Whitford Paul, Kristine O’Connell George, Deborah Chandra, Joan Bransfield Graham, and more: this was quite an accomplished and talented group! Elaine: Can you tell us anything about your experience in Myra’s class? Janet: During class, we would go around the room and we would read a homework poem aloud, in rapid succession, without explanation. If someone started to apologize or give background info, they would be interrupted and reminded of the rule. Then we’d return to hear some poems again, and discuss briefly which parts we remembered. This was an excellent way to teach form and rhythm; after hearing a dozen poems that used anapest or a dozen sonnets, you’d have a great feel for what that rhythm or form was all about. For the rhythm exercises, Myra would allow us to break a rhythm only if we could explain why. For instance, I might break a bunch of happy anapests with an iamb to draw attention to a couple of words that were more poignant. I rarely write in set forms and strict rhythms now, but these exercises gave me a great education, and many of my free verse poems do have a loose rhythmic structure that holds the poem together. One exercise that Myra used to do every few months was a “grading” exercise—which helped spur a discussion of what makes a poem good. She would read a stack of poems in rapid succession, not identifying the poet, and we’d make a list of grades. When you don’t know that a poem is written by a “brand name” poet, you sometimes give his poems lower grades than you would if you knew. After our grades were marked, we’d go back over the poems, hear them and discuss them. I felt, early on, that I had such “McDonald’s taste” in poems, while Alice Schertle’s taste was clearly “gourmet.” After studying with Myra for about two years, I was finally able to give grades that matched Alice’s. My taste had “developed”—either that, or I had become really good at guessing which poems I was supposed to like! Elaine: What kinds of writing assignments did Myra give her students to work on at home? Janet: Myra’s weekly homework assignments usually required us to write a half-dozen poems: a poem using a certain metrical structure (iamb, trochee, dactyl, or anapest), another poem in a certain form (villanelle, triolet, limerick, tanka, etc. ), a haiku (always a haiku), a poem on a certain subject theme, poems exploring voice or another technique (assonance, consonance, alliteration, personification, metaphor, simile). One of my favorite homework assignments was the “voice change” exercise. If we had written a poem in a third-person narrative voice, we’d have to do a second poem in the first-person lyrical voice. After that, we’d write versions in the voice of the mask, and apostrophe, and conversation. The change of voice often resulted in fresh new language and insights. For instance: a narrative poem about the wind might simply describe a scene where the wind blows the hat off a girl’s head. In the lyrical version, the girl might talk about losing her hat to the wind. In the voice of the mask, though, the poet would become the wind, and all of a sudden new ideas might arise: perhaps the wind is no longer just “blowing” but actually “stealing” the coveted hat. Using apostrophe, the girl would talk to the wind, and might plead with it to return her hat, or might threaten or cajole. In a conversation version, the girl and wind (or girl and hat) might scream at each other, or tease. The voice change exercise reliably creates elements and introduces words that will not arise in the course of revising a poem over and over in one voice only. She will wear his ring. like a young heart in overdrive. Janet and I would like to invite all of you reading this interview to try writing your own poem using the three words—ring, drum, and blanket. You can post your poem at your own blog, if you have one, and send me the link—or email me your poem and I will post it at Wild Rose Reader. 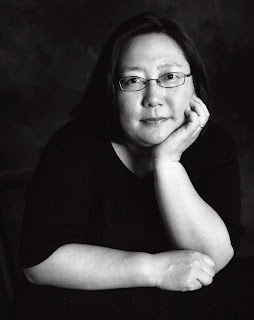 NOTE: I would like to thank Janet Wong for this informative interview in which she discussed her experiences as a student in the master class on poetry taught by Myra Cohn Livingston. I would also like to extend my appreciation to Janet, Stephanie Franz, Fletcher Collins, and Nathan Goodwyn for granting me permission to post their original poems at Wild Rose Reader. At Blue Rose Girls, I have a poem by Billy Collins entitled Workshop. Cloudscome has the Poetry Friday Roundup at A Wrung Sponge. What a great way to focus your interview---I loved getting a glimpse inside that Master Class. about the master class in poetry. She had so much to tell me about her experience with Myra Cohn Livingston and the writing exercises the students did that we decided to scrap the other questions and focus on that class. Elaine, Love your interview with Janet, particularly the focus on Myra's classes. Boy, we sure miss her mentoring. But what a legacy of poets she has given us! I heard Myra speak once when she gave the David McCord Lecture at the Boston Public Library. (David and I were good friends. 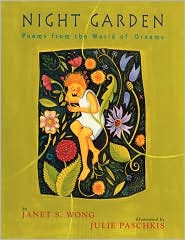 )Myra gave so much to the world of children's poetry in her own books of poems, her anthologies, her essays and critcism of the genre, and her mentoring of young poets. I love Janet Wong! She spoke at a monthly children's meeting here in Washington and gave out copies of her books for those of us who were willing to read our poetry aloud. There was some funny anecdote she told us about Livingston grading her work, whereby she thought a mark was something obscure and weird, but it was actually the first compliment she received from Livingston. Janet,if you're reading this, please jog my memory! It's annoying to remember something was funny but not exactly what WAS funny. Fascinating interview! Janet is definitely one of my favorites! Thanks so much. Oh, my gosh!!! My 9-year-old just had Gold out of the library and she read me that poem about 1,000 times. It cracked her up, the needing luck immediately. I am going to treat her to this interview when she gets home from school today! I will write a ring-blanket-drum poem tomorrow while my poetry workshop people work on their activities. I'll have to ask Janet if she remembers the story about Myra. I'm a fan of Janet's, too! That's funny about your daughter and Janet's poem. I hope she likes the interview. I'm so glad both of you are going to try writing a ring/drum/blanket poem. I thought it was going to be difficult. It took me awhile until I wrote a few lines about the ring of friends sitting on a blanket--then the words just started to spill out. I enjoyed that interview with Janet, Elaine. So interesting to hear about the master class. After months of receiving no comments at all from Myra, I finally received a mark for the homework assignment that later, after a few additional drafts, became the poem "Waiting At The Railroad Cafe" in GOOD LUCK GOLD. A puzzling mark, I thought: "uq"? Finally I summoned the courage to ask Myra what "uq" meant; she said, "That's 'vg,' dear" (very good)! Please tell your daughter that I hope she remembers those last few lines of "Good Luck Gold" the next time she feels desperate for good luck. Sometimes it really does help (I think) to ask for luck! As you know, I am a huge fan of your poems, and I am eager to see your poetry published in book form. While your rhyming poems (funny and serious both) are excellent, I really love the new direction you took with the "ring/blanket/drum" poem in free verse. I don't remember seeing free verse from you--and the way you managed to pack that poem with sound and imagery really impressed me. I'll bet that you have a whole YA collection of free verse poems in you! I'm coming in a little late here, but I've been a fan of Janet's poems for several years. I did a presentation on inspiring teen boys to read and write more poetry using Behing the Wheel. The boys loved it and wrote some great boys. I thought it was interesting to hear about Janet's experiences in Myra's master class too. 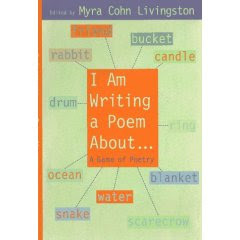 Myra Cohn Livingston is one of my idols of children's poetry. She had such a wealth of knowledge about the subject and such a passion for poetry and the written word. 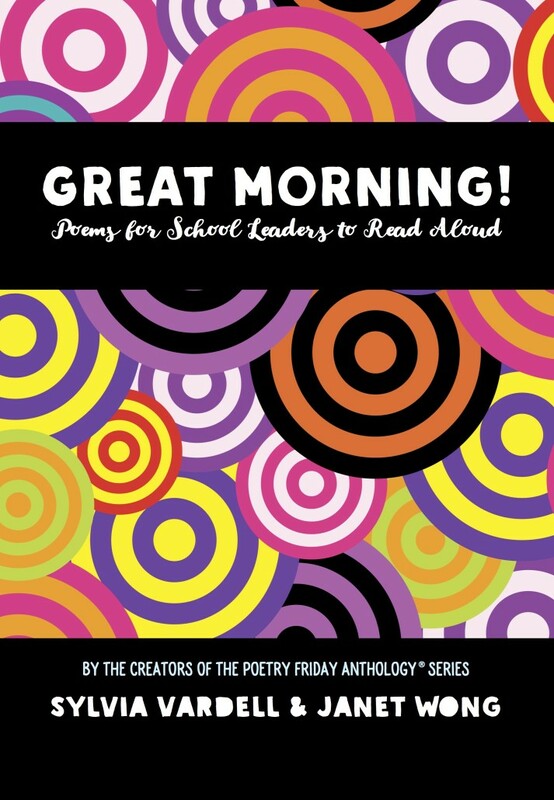 I think it's great if we can find ways to break the poetry barrier and set kids free to read and write poetry. I think Janet's poetry can be used to help inspire kids. Thanks for your kind words about my poetry. I have written some free verse poems in the past--albeit, not quite like the ring/drum/blanket poem I wrote for this post. This was a great interview. Like the others who have commented here, I found it really interesting to read about the kinds of writing assignments Myra gave her students--and about some of the things she had you do in class. NOW...if we could only get YOU to teach a master class in poetry!!!!! Thank you for the memories, Janet! Your description brought so much of the master class back. My memory of Myra's small, almost illegible marks in red ink (we called it Myra's blood, do you remember that?) was that I thought she'd written, "ug"...as in "ugh--this is awful". When I found out she'd written vg for Very Good, I flew out of her house that day on happy poet wings! I love that you included some of Janet’s poems. Generosity is one of Janet’s trademark qualities, so I’m not at all surprised she insisted on sharing the spotlight with others who’ve written ring/drum/blanket poems. She’s a beautiful, talented extraordinarily generous human being. Thank you for interviewing her. Thanks for your comments! I agree with everything you have said about Janet. She has been most supportive of me--going out of her way to give me help and advice. She is also such fun to spend time with. 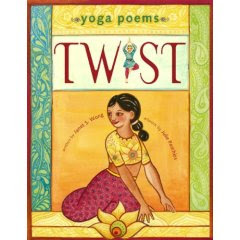 Thanks to Myra we have talented people like you, Janet, and other students of that master class publishing wonderful poetry for children today. 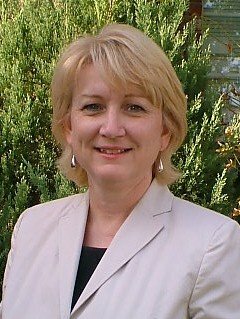 I often tell students about April Wayland's Web site because of its great list of places where students can be published: http://www.aprilwayland.com/students.htm. 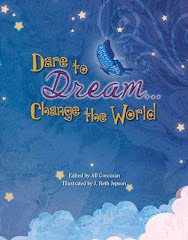 I hope the link came through, but if not, just visit www.aprilwayland.com and click on "Students and Writers." April was our Master Class's leader of Fun and Spirit...and her comment about "flew out of her house" reminds me of one fact: though Myra's class started as a UCLA Extension course offered on Wednesday mornings in a church basement, later Myra invited us to continue as a critique group/class in her home. She lived in an elegant 1920s Spanish-style home in the hills of Beverly Hills, and after our sharing of poetry, we'd share the food we'd brought: the best assortment of potluck I've ever sampled, served on Myra's china! Speaking of generosity: Myra actually sold my first book for me. Margaret McElderry was staying at her house for a few days, and Myra showed her my manuscript (what became GOOD LUCK GOLD). 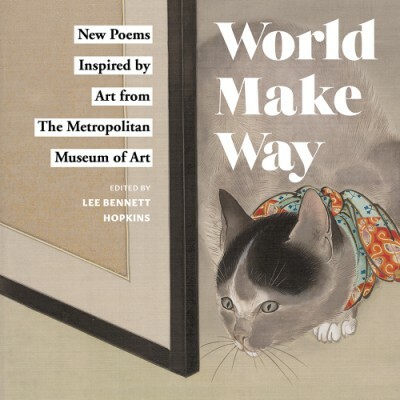 I love Alice Schertle's poetry books: HOW NOW BROWN COW, KEEPERS, I AM THE CAT, A LUCKY THING, and ADVICE FOR A FROG. Unfortunately, most of them are now out of print. I really wish that she'd publish some new poetry collections. I believe Alice lives here in Massachusetts. I wish she had a website. 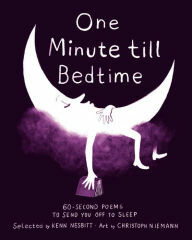 The book, Am Writing a Poem About…, is available at Amazon. Lots of "former" library copies. Just ordered mine. Great interview.I will be working on the ring/blanket/drum poem. I hope you like the book. 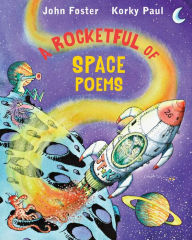 I've gotten lots of out-of-print children's poetry books through Amazon and Barnes & Noble. I'm glad you'll be joining two other bloggers who plan to write ring/drum/blanket poems. I also love the focus of this interview, though I'm late in getting to it. How lucky she was to have had Livingston for a teacher, and how lucky we are you brought Janet to us at your wonderful blog. Janet's a wonderful person. I'm so glad I was bold enough to introduce myself to her at the children's literature institute at Simmons College and ask her if she would like to have dinner with me. Four other attendees shared dinner with us that evening at Thai restaurant. It was such fun--and Janet was such a hoot. She is also a good mentor--just like Myra. I put "ring, drum, blanket" into my poem for my Friday Poetry post here. I combined it with Trisha's poetry stretch and now I need to go lay down for a while.